I am a great advocate of free software, especially for home systems. Over my years as a support engineer, I have consistantly found the following free and almost free antivirus programs to deliver and protect customers' PCs. AVG is for me the original free antivirus program. They started the free download and install for home users. Business users do not have the rights to use their free antivirus software, but I do keep it seeing it installed at new sites I visit. For home users, this free antivirus program is good, but there are reasons why it is free. First of all it is quite heavy on the PCs resources. It also needs to be kept up-to-date. The free copy if often updated to a newer version, and you have manually install the free antivirus program to get to the new version. I guess AVG use the free version to advertise the full Pro version - which can be used for business! Avast is my next favouite free program. They are offering their free antivirus software for a year. You need to register, and then you can activate the product for 12 months. 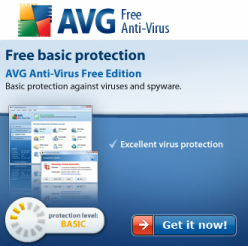 The free version of this antivirus package is "light" compared to AVG. This means it's not so heavy on resources, allowing your PC to run quicker. It's just as good at picking up the virus's. The only downside is that you have to register and you only get 12 months of free protection. My number 1 choice is not free though, but it is very low cost. It's Esets antivirus program called "NOD32". You can buy it for 1,2 or 3 years. Quite simply it's the engineers favourite. It's light on the resources, it's clever - discovering virus that are not even in it's DAT file. For business it has easy to use roll out software, and comes in home user format also. You can download, register and trail it free for 1 month. 1. Start - Programs - Add/Remove (Norton, McAfee. Symantec) just get rid of these free trail antivirus or security packages. 3. Download and install your free 1 month antivirus program with Eset and then purchase the 3 year edition. You do not, in my opinion, need these full security suites. I will write further about free Malware removal software and free anti spam software in other articles.